This site is designed to pay tribute to a distinguished writer who lived his ideals and spoke his mind honestly and openly. 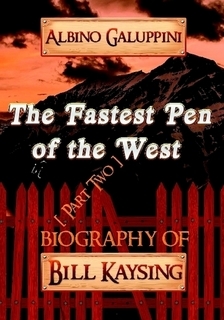 Bill Kaysing was a man whose acts and intentions were kind, generous, and caring, and whose writing encouraged people to think and act for themselves. The site is intended to heighten awareness of social manipulation by those entities who would value profit over individual health and well-being or real social improvement as revealed in Kaysing's writings and not simply focus on the moon landing controversy for which Bill Kaysing is popularly known. Additionally, the website is intended to promote a lifestyle that was lived by Kaysing, one which he described as living outside of the corporate imperative, by living simply, cheaply, fully, and by not getting caught up in the [corporate] rat race.